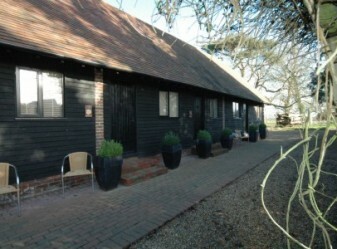 One of four luxury cottages set in the beautiful grounds of a country house nestled in the North Downs. 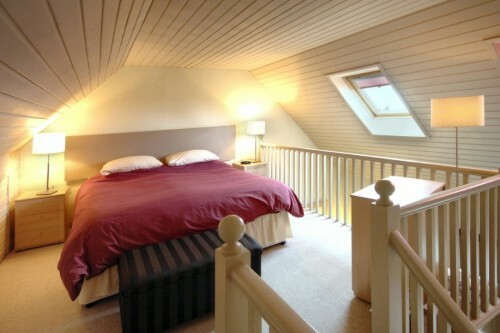 Everything is fitted to the highest standard, if you’re looking for five star accommodation then this is for you. Make use of private sessions in the heated indoor swimming pool or enjoy your own al-fresco barbecue. Home made bread is just part of an excellent starter hamper that awaits your arrival. 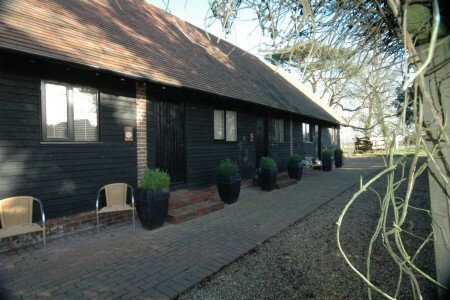 HK017 is within a converted Kentish Barn. 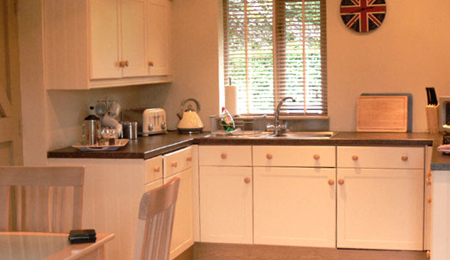 The luxurious finish takes self-catering to an extremely high standard. The cream Shaker style kitchen is beautifully fitted and open-plan to the lounge/dining space. 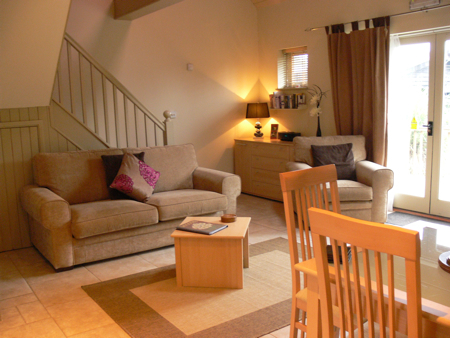 The lounge area includes a double sprung bed settee to sleep an additional 2. There is a digital flatscreen TV with Sky package and a DVD player. A Bose CD/ radio complete the entertainment along with wireless broadband. There is a downstairs shower wet room fully tiled in white and blue. 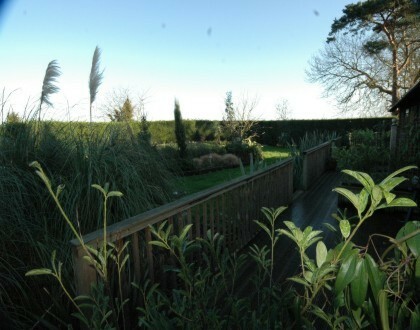 The upstairs bedroom can be arranged as either a twin or a superking sized double bed with fantastic views towards the Swale Estuary. A travel cot and high chair can be provided on request, as well as Baby sitting at reasonable rates. The hamlet of Otterden is set high in the North Downs of central Kent. Many popular towns and attractions are within a 30 minute drive of this seemingly remote location. A farm selling local meat is close by. For those wishing to visit France, Dover and Folkestone are around half an hour away for the Ferry or Eurotunnel. There are excellent opportunities for walking and cycling in the surrounding area including the World renowned Pilgrim’s Way. There is a pub just over a mile away, shops and other amenities are within 5 miles.